Unlike the rest of the nation, the Indonesian island of Bali is somewhat of an anomaly because of its strong Hindu population and culture. Balinese religion has remained largely intact and true to the Hindu-Buddhist traditions that dominated the region before the arrival of Islam. 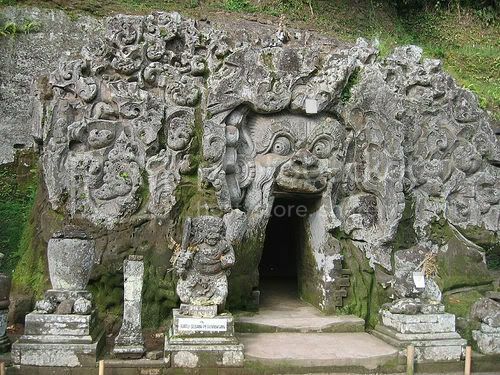 Besides being a popular regional tourist destination, the island of Bali also contains some significant archaeological treasures – including a local version of the Valley of the Kings. Creative Commons image by kumasawa. While you are in Bali experience non-touristy activities by tracing the islandâ€™s richest archaeological zones of Bedulu in Gianyar regency, around 65 kilometers northeast of Nusa Dua. Here you find fragments of Baliâ€™s monumental kingdoms. Evidence, dating back to the Bronze age, of the islandâ€™s first human habitation is believed to have been unearthed here. And this is where Baliâ€™s rich culture and traditions were born. Caves, temples, prehistoric remains… you can read more about Bali’s archaeological heritage here. it seems there’s a lot more to Bali than just the bars and beaches. Has anyone been seen these archaeological sites before?